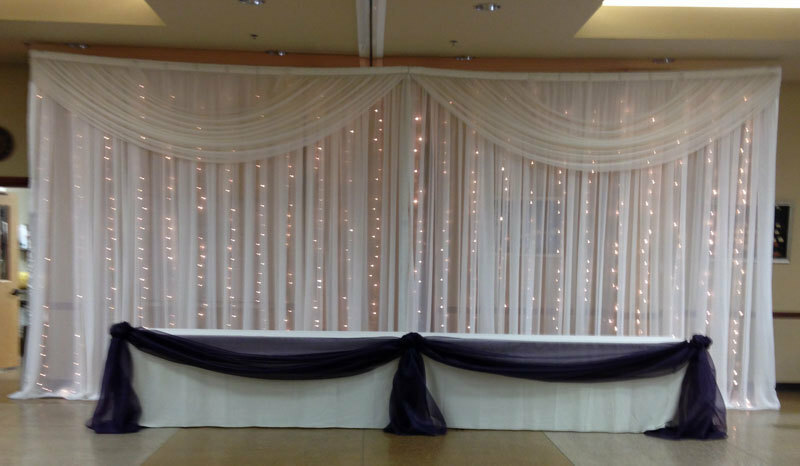 DIY Sheer Lighted Backdrop Rental Kit - Comes in White, Ivory, or Black FR Sheer Voile Drapes. Kit includes plates, pins, uprights, crossbars, light bars, string lights, and drapes. Note: Swag shown in photo is not included. Swag only included with Beyond Elegance setup. Pricing is "Per 12" Section. Minimum rental is 12'. NOTE: These items cannot be shipped. Local pick up only. The photos shows "2" 12' sections.